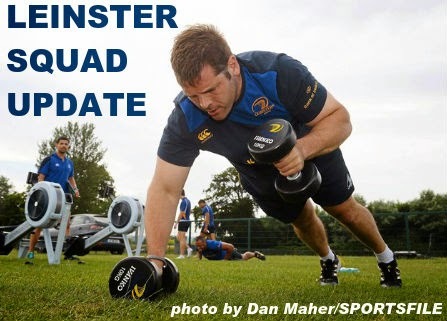 After training in UCD this afternoon, Leinster Rugby Head Coach Matt O'Connor has issued a squad update ahead of the visit on Saturday to Edinburgh in the Guinness PRO12 (Kick Off: 3.00pm - live on BBC Alba). As reported after the Treviso game on Friday, Cian Healy has come through his neck surgery and the surgeon is very happy with his immediate prognosis. Cian is due to start his rehab in two to three weeks and provded there are no issues, is expected to be fit for the Rugby World Cup. Darragh Fanning has been ruled out of selection for the game this weekend having picked up a slight injury to his right wrist and will undergo surgery later this week. He is however expected to be back in six weeks and in time for pre-season training. 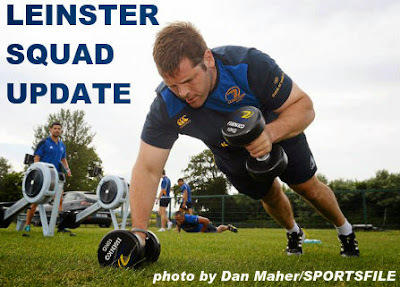 Gordon D'Arcy and his wife are expecting their first child this week and as a result he his unlikely to be available for the game in Edinburgh. The rest of the squad trained as normal and the match day 23 will be named at midday on Friday.